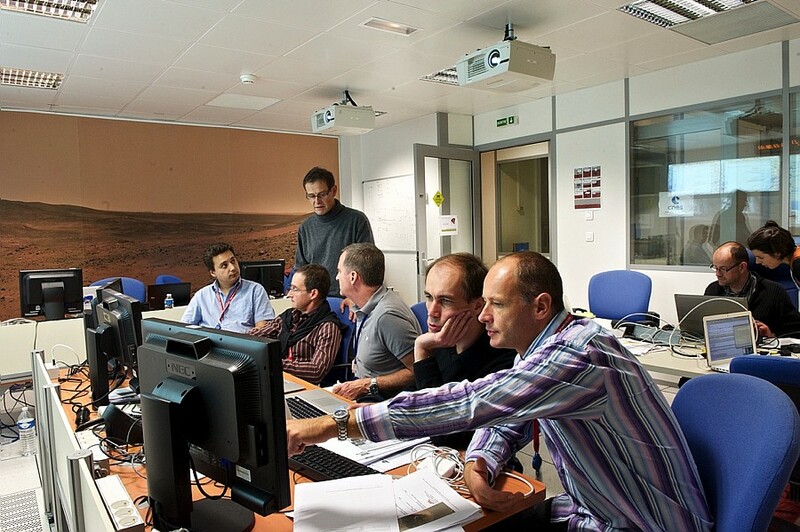 On 6 August 2012, we followed Curiosity’s Mars landing live on our website. One year on, the rover is in great shape and on course for its primary target, Mount Sharp. 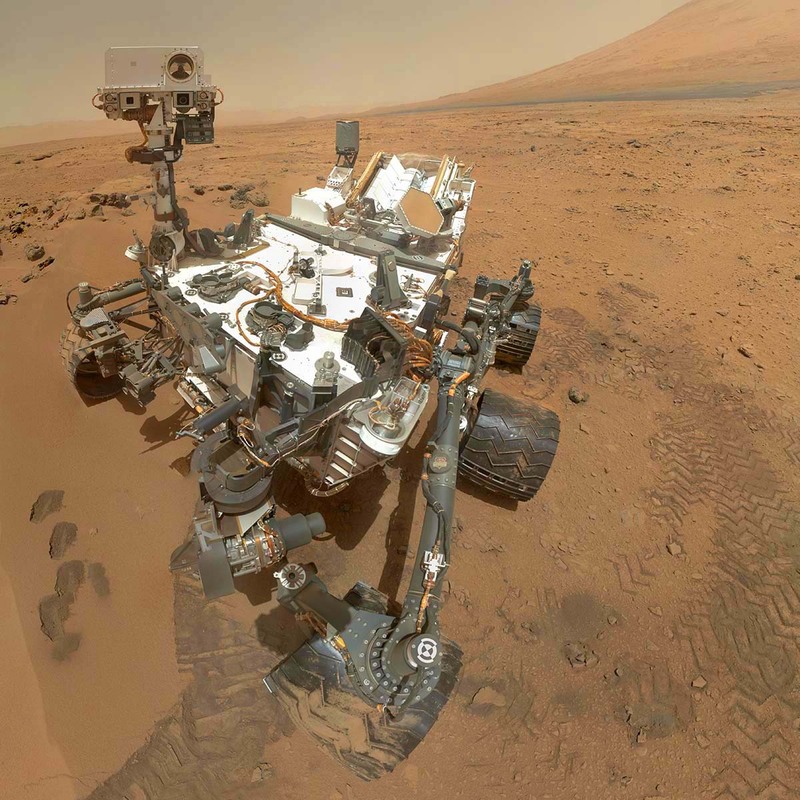 Self-portrait of Curiosity on Mars. Credits: NASA/JPL-Caltech/MSSS. Just one year ago, NASA’s Curiosity rover landed on the surface of the Red Planet after “7 minutes of terror.” Six months later, the U.S. space agency was able to announce with satisfaction that it had found evidence that conditions on ancient Mars could have been conducive to life. In February 2013, analyses from Curiosity also showed that the planet’s atmosphere is being stripped away by the solar wind. During the first year of its mission, Curiosity, supported by relay satellites, has beamed back to Earth more than 190 Gbits of data - the equivalent of 45,600 mp3 music tracks. The ChemCam instrument has fired its laser at rocks 80,000 times to probe their chemical composition. The FIMOC at CNES in Toulouse uplinks part of the commands to operate Curiosity. Credits: CNES/S. Girard. Indeed, Curiosity’s exploration of the Red Planet is far from over. The six-wheel rover recently resumed the trek towards Mount Sharp, its primary target 8 km from the landing site. After a journey of several months, during which it will analyse more rocks along the way, Curiosity will pore over the exposed sedimentary layers at the base of the 5,000-m-high mountain that scientists hope to read like an open book into the planet’s history.